Use insights about your business to help you be proactive, pick profitable jobs, grow your margins and get control. 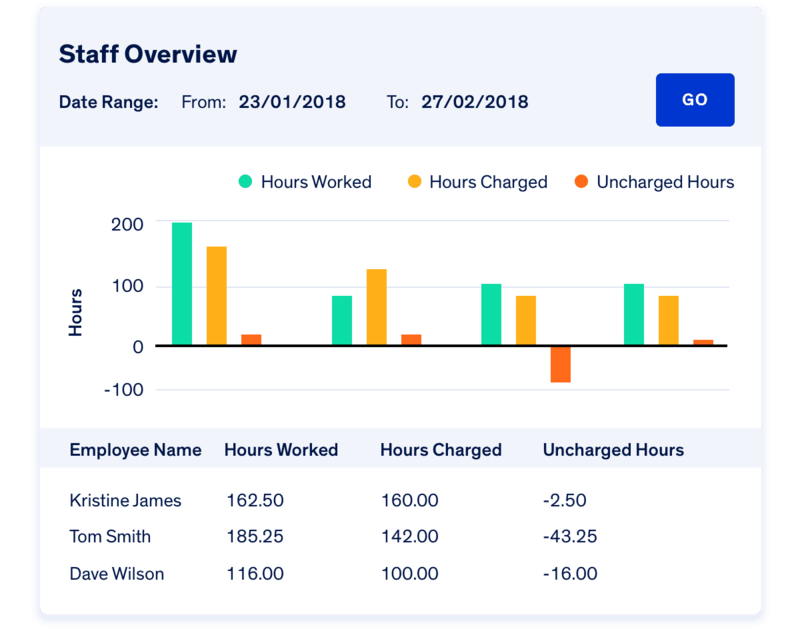 Quickly and easily pinpoint which jobs and tasks are holding up revenue and get them moving. See exactly how much potential revenue is sitting in costing, under progress, or waiting on payment. 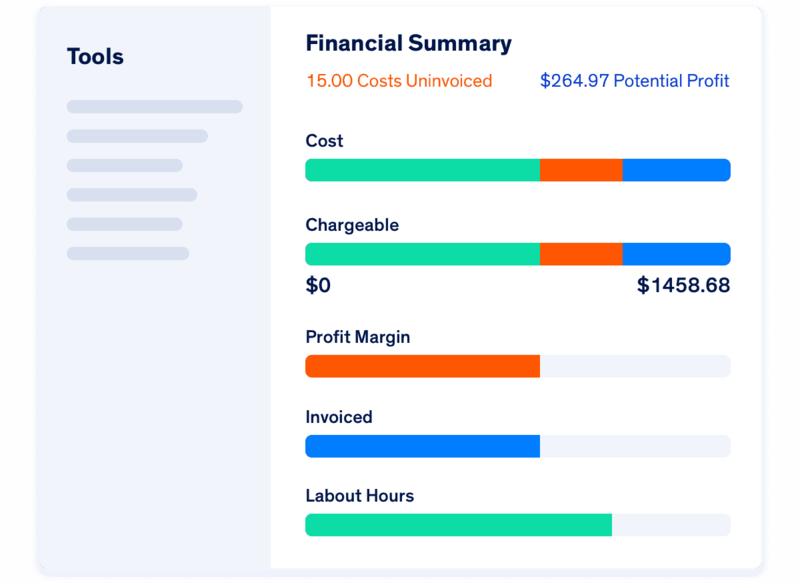 Organise jobs by invoice progress, profits, margins and more, and see where to focus your attention. 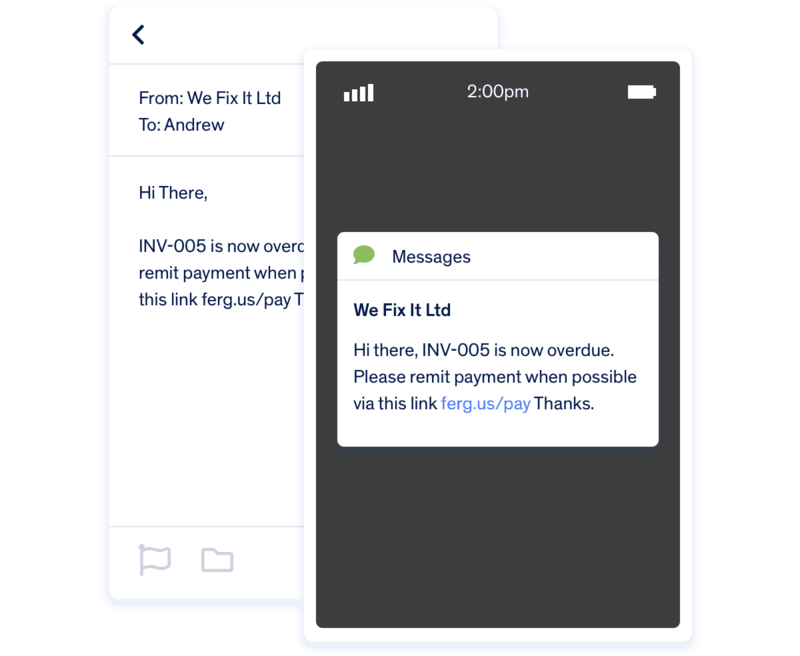 Send automated text messages to customers when invoices become overdue. See what's happening in your business and make changes before things go south, and plan how to build the business you want to manage. See what team members are costing vs. how much they're billing and help the ones falling behind. See if you're happy with the margins on jobs you're quoting for, and make changes before sending. Find out which jobs you do well and which ones you need to boot, so that you can look out for number one. Compare billable hours, profit margins and more on different types of jobs. Smart but easy-to-understand reporting on where you made or lost money on a job. See which months your business did well and which months you fell behind so that you can plan ahead. 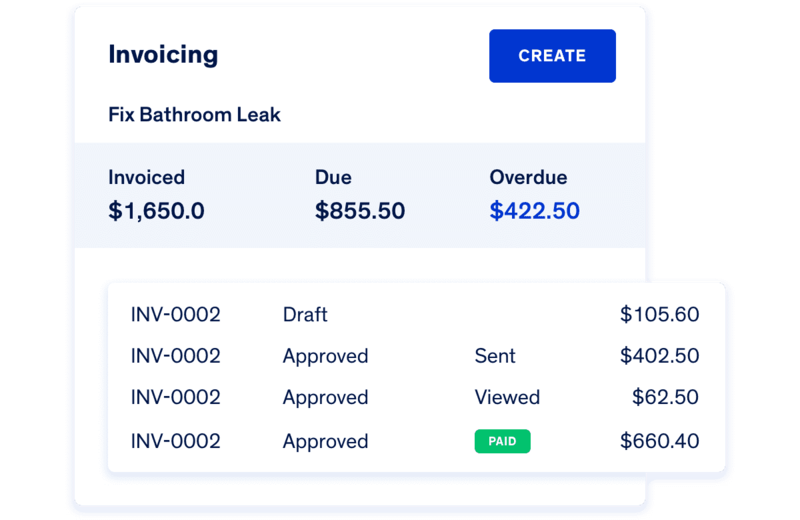 Invoice fast and get paid faster. Keep your cash flow positive and comfortably pay your bills on time. Import actuals from site visits, turn a quote into an invoice or build an invoice from scratch. Move jobs from 'In Progress' to 'Back Costing' while you wait on final costs before you invoice. Collect payment on site through the app and accept cc payment through your invoice.